My wife's sister works for the airlines so she gets free standby flights whenever she can go. She's taken advantage of it and gone on over 15 flights in the last couple of months. While doing that she has gotten to know the USO's pretty well. She's visited the USO airport locations in Los Angeles, New York, Denver and Phoenix. 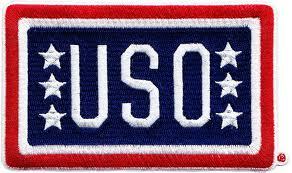 We thought it would be a good idea to add a section to the blog dedicated to USO's. We will try and add pictures of the USO's and our personal experience thus making it easier for you if you visit that airport. If you have visited a USO recently and would like to write a review on it we would love for you to submit it to us.